Also I will be playing with vocalist Rachel Caswell, Tom Walsh, Jeremy Allen and Steve Houghton this Thursday from 5:30-8 at Bears Place in Bloomington IN. My new CD “Eight Track” is holding at #4 having been in the top 5 on JazzWeek Radio charts for 6 weeks. Dave Stryker Quartet at Snug Harbor New Orleans Thur April 17th! 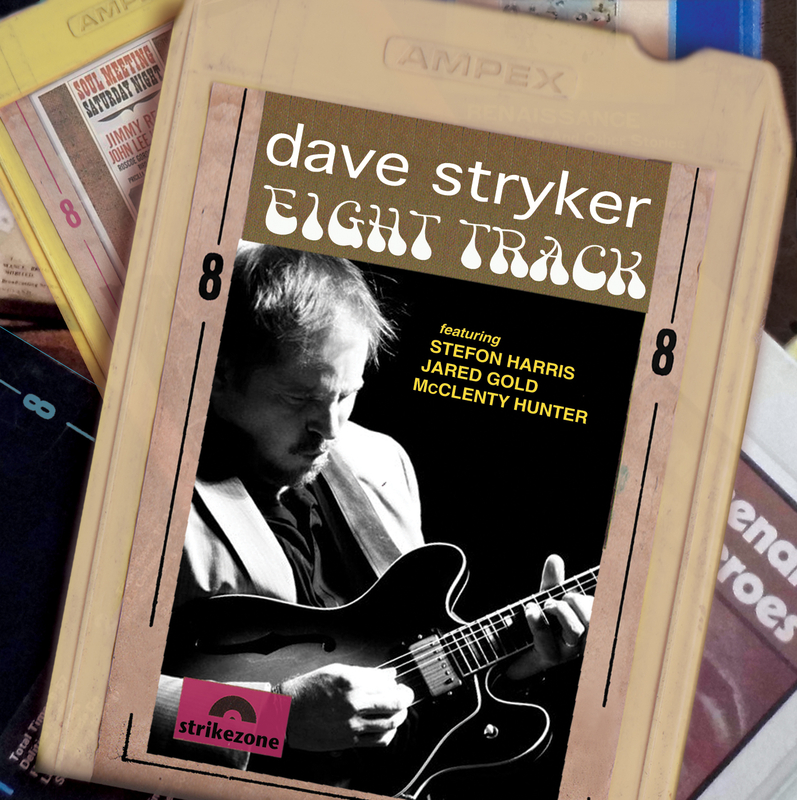 Posted in Uncategorized	| Comments Off on Dave Stryker Quartet at Snug Harbor New Orleans Thur April 17th! Eight Track #3 on Jazz Week Radio charts! Posted in Gigs, News	| Comments Off on Eight Track #3 on Jazz Week Radio charts! Eight Track #4 on Jazz Week Radio Charts this week! Posted in Uncategorized	| Comments Off on Eight Track #4 on Jazz Week Radio Charts this week! Well my new CD “Eight Track” is officially out today and I hope you will order it right here on this site. Hello Friends – Hope you’re surviving this winter weather…. My new CD “Eight Track” featuring Stefon Harris on vibes, Jared Gold on organ McClenty Hunter on drums is now available right here on this site….This is a fun project with tunes from the Eight Track 70’s era, but done up hip, and the music is kickin! You can also get them from me personally at my upcoming gigs: (Please check out my itinerary page for details). Wed Feb 12th from 8-10:30 I’ll be at the Hyatt in New Brunswick NJ w/ Freddie Hendrix, Jared Gold and Joe Brown. Feb 13-15 I’ll be a Guest Artist performing my Big Band music at Western Illinois University. Wed. Feb 19th I’ll be at Cafe Malibu in Bloomington IN w Steve Allee, Jeremy Allen and Steve Houghton. My new CD is coming soon….Its all music from the 8 track years (the seventies) swung by my working trio of Jared Gold on organ and McClenty Hunter on drums. We were joined by special guest – the great Stefon Harris on vibes. I’m really happy with how it came out and can’t wait for you to hear it. Here is a brief video of the making of Eight Track by my son Matt. It will be available on this site, CD Baby and record stores soon. I’m really looking forward to going into the studio next week to record my new album. It is a project I have been threatening to do for quite some time and I have decided now is the time! Stay tuned for more info…needless to say it will be with my organ trio with Jared Gold and McClenty Hunter plus a special guest.